Maggie Tamburro is an attorney, legal writer and commentator who holds a B.A. from The University of Texas and a J.D. from The John Marshall Law School (ranked in 2012 by U.S News & World Report as 6th best in the nation for its legal writing program). Maggie graduated 5th in her class from John Marshall, served as Law Review Associate Editor, and was awarded the Dean's Scholarship Award for three consecutive years. 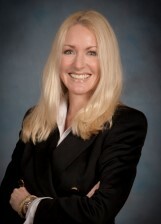 Maggie was admitted to the Illinois Bar in 1994 and Florida Bar in 1999 and has significant experience in legal research, editing, and writing. From drafting complex commercial transactional documents to journalistic reporting, Maggie brings a unique blend of background, experience, and perspective to IMS in both the area of law and writing.